Something I'm not getting here after the Oreo update. I keep getting a message that my internal memory is getting low, but when I go to settings, it shows tons left??? I'm getting the same message. I did a reboot each time and it cleared it up but that's not optimal. And I only have a limited number of apps on the phone. Storage and memory are different. Try to "force stop" everything and give your phone a 32 second "FF22" reboot. Hold the power button down for around 32 seconds (it'll take you through several restarts) and then fire it up. If that doesn't work, a factory reset may be needed. Good luck. 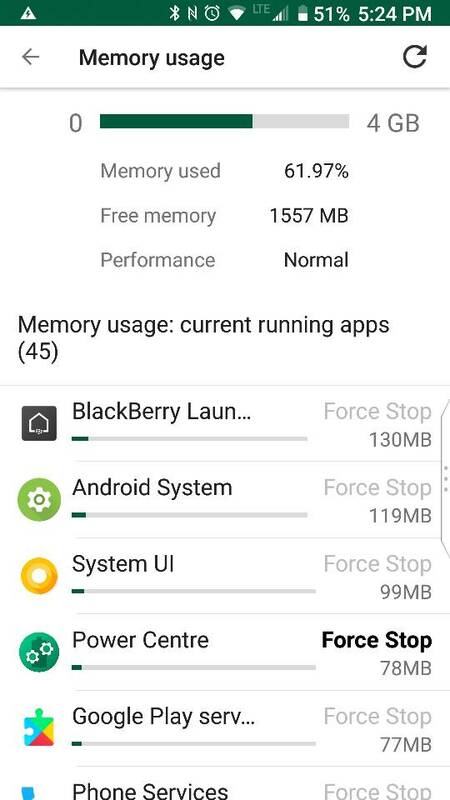 So is the memory usage and what's left to do with apps? Internal memory and internal storage are two different things. If your memory is low it's usually due to too many apps running in the background. According to your screenshots your using nearly 90% of your 4 gigs of memory. That's quite a lot and will cause your phone to slow and become glitchy. If your phone doesn't have the capability to put apps to sleep and/or prevent apps from running in the background you can download a utility to do that for you. Before I got my current phone I used Clean Master. Hey! me too. Maybe an update will fix it? I can't be bothered to the resets and reboots, unless things start slowing down. haven't noticed anything yet. 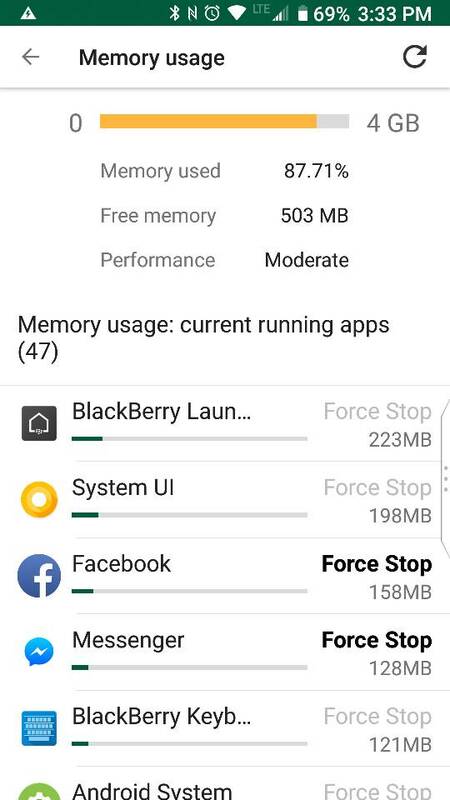 Number of Apps has nothing to do with the RAM it used on the phone! It’s not BBOS! Then I'm confused AF now!! So I'll go back to my original question, why am I getting this stupid message, and what can I do to make it stop? Find out which app is sending you that notification and either block it or delete that app. Now, full disclosure, I'm pretty dumb at this stuff, so how would I go about doing that? Check out this thread. I don’t have a device to test it out but maybe it can help you! trying to turn off app notifications. For example, when i press Force Stop in the settings in the image above nothing happens. Anyone else have this problem? 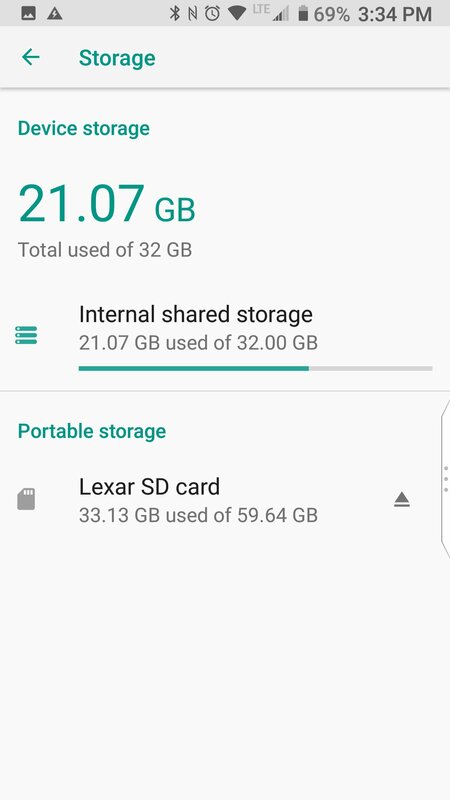 Number of apps doesn't, but how much storage those apps are taking up does. RAM uses storage space to run. A computer (laptop, phone, tablet) requires slack space in storage in order to run properly. The amount of storage that's used for apps will affect the speed of your phone after a certain point. My Blackberry Z10 Is Not Supporting 4G In INDIA!!! How can I ‘speed up’ the pace of my BB Motion learning common words? My Priv doesn't charge or turn on! !